Curious Voyager: Grocery Shopping Brings Back Reading of "The Long Tail" - Or Why Major Retail Grocery Could Be Having a Problem. Grocery Shopping Brings Back Reading of "The Long Tail" - Or Why Major Retail Grocery Could Be Having a Problem. Shopping on Saturday recalled the book by Chris Anderson, “The Long Tail" Why the Future of Business Is Selling Less of More”. 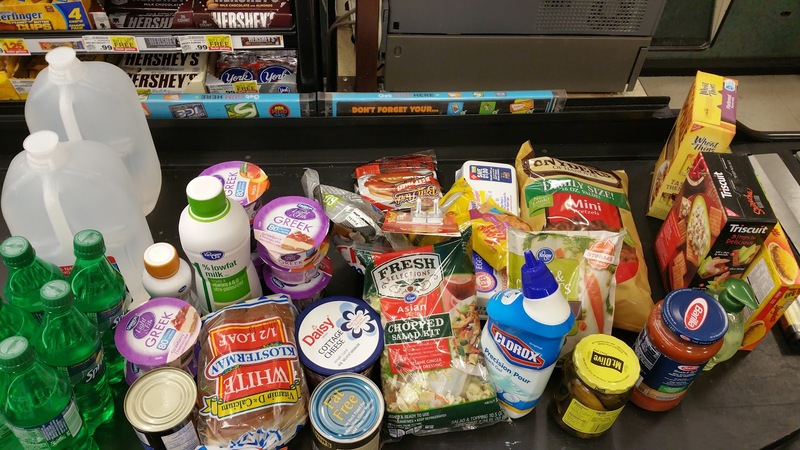 We were in Kroger late Saturday morning and there were so many items we could not locate, some of which we would have to shop for somewhere else locally, however, other items we could get online and have by Monday. Some items were only available in Private Branding. I understand Kroger (and others) are in a battle with online retailers like Amazon, Costco and Walmart, just to name those 3. Lettuce was nowhere in sight at Kroger and we would shop this at some other local retailer, but Shredded Monterey Jack Cheese? It can be purchased easily online, as can coffee, and many other products. Once you can’t find something that should be in stock on a Saturday you start thinking this trip was not a happy one. Now we do buy from Amazon and more recently from Costco. We have started to price research and coffee was one example. We have a Keurig and have discovered the San Francisco Bay Coffee Company and their products. We love their French Roast. Our first purchase came from a trip to Costco and when we returned we could not find exactly what we wanted. I tried Amazon Prime (2-day delivery) but their price was not right so I tried Costco online. Price at Costco was right and the delivery charge not bad on one case (if we purchased 3 cases the delivery would have been free), delivery was 2-days, we purchased one case. Second time at Costco we purchased other items , paper towels, toilet paper (things we would have normally purchased locally), got the order up to $75 and FREE shipping – oh and 2-day Delivery. I mentioned “The Long Tail” because we can find those items online which the local Kroger (or wherever) can’t stock because the volume of sales is not there. Where the trouble starts for Kroger is when you begin to realize that it can be as much fun to shop online and not in those small aisles, where you can’t get through easily. I believe that each Kroger is stocked differently so something you cannot find at this Kroger could be in another Kroger. The computer analysis of shopping, to maximize profit, and the attempt to get consumers to buy what you have as well as your privately branded ‘stuff’. From "The Long Tail" (I believe this makes for a good online strategy): "In an era without the constraints of physical shelf space and other bottlenecks of distribution, narrowly-targeted goods and services can be as economically attractive as mainstream fare." Let’s look at this scenario: First: We, my wife and I, have been married for over 56 years, we are technically literate, and we sit at the table with our laptops, drinking coffee, laughing and talking (perhaps over breakfast), while shopping online. Pat says; “What was the price you found at Amazon? I have this price at Costco.” Then Pat says; “Why not try San Francisco Bay Coffee Company direct and see what they are selling it for?” Walter responds; “Actually the price is $1 greater but their FREE shipping is better because we do not have to buy as much.” And while we are there (online that is) my wife can make reservations for dinner tonight and text the others as to when and where. We get our second cup of coffee and then decide what we are going to do with the time. Oh yes, we can also look at Facebook, catch up on the news, connect with the family – who live very far away. We are in touch with the world as it is today. This is not something from a novel in the future – IT IS HAPPENING NOW! Oh, and we are not the only ones doing this, or living this life. shipping is generally enough. Milk we can get at a convenience store like the 7-11, or the fuel stops that have now become more of a convenience store like Thornton’s, or Speedway. Granted they do not carry lettuce, but they do have milk and Pop (or soda depending on where you live). Hmmm…..Whole Foods carries lettuce. "Do we really need large grocery stores?" With online shopping would a store, the size of Whole Foods, Fresh Market, Trader Joe's, be all that we need? Back to Mom & Pop grocery stores. My uncle owned one when I was a kid, a long time ago, and it would work today. It was a friendly place and fun to go to. I love the Wayfair ad where the individual says “Free Shipping, that’s a game changer.” (or something like that).